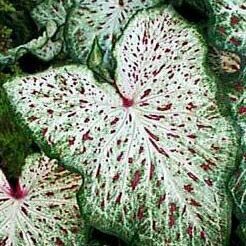 Caladium Aaron (6 Bulbs) Beautiful ornamental foliage. Now Shipping ! 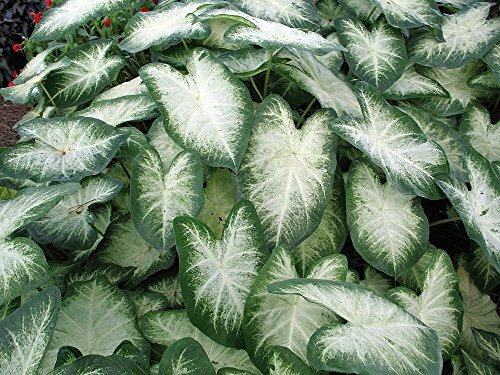 Caladium Garden Mix (18 bulbs), brilliant foliage for shaded areas. Now Shipping ! 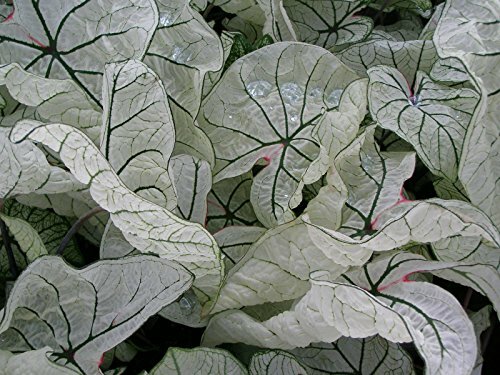 Brilliant Foliage for Shaded Areas Grown specifically for their ornamental foliage, caladiums offer spectacular color through the summer. 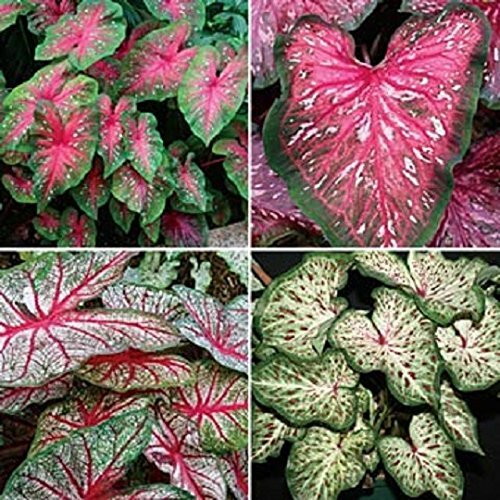 With colors that range from red to a pale pink, to white and deep rose and leaves that are shaped like arrows, lances or hearts, caladium plants can enhance almost any shady area. Plant in the shaded corners of the garden or plant in containers. They're perfect for shady window boxes where sun-loving annuals won't grow. 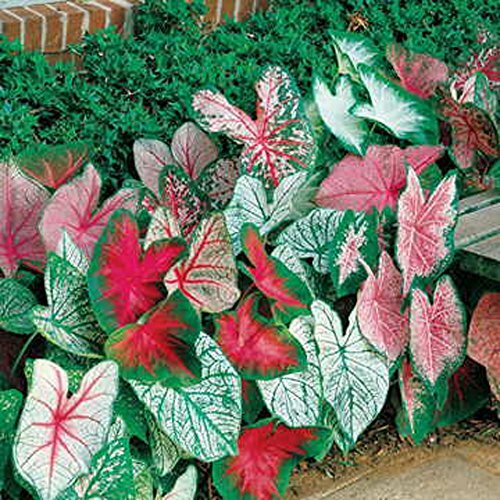 Caladiums are good companions for impatiens, begonias, ferns or coleus. 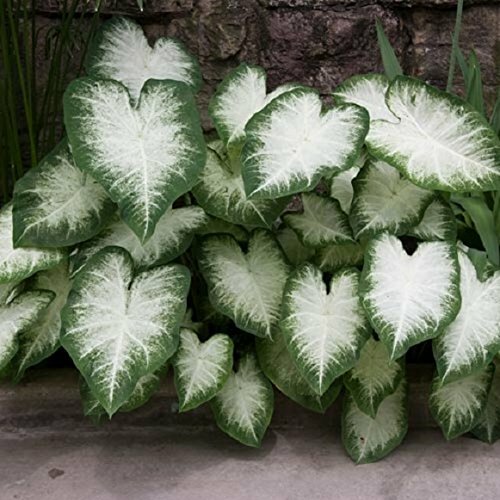 Tropical plants that are grown from tubers, caladiums also make good houseplants and can be grown in a conservatory or on a warm porch during the winter. 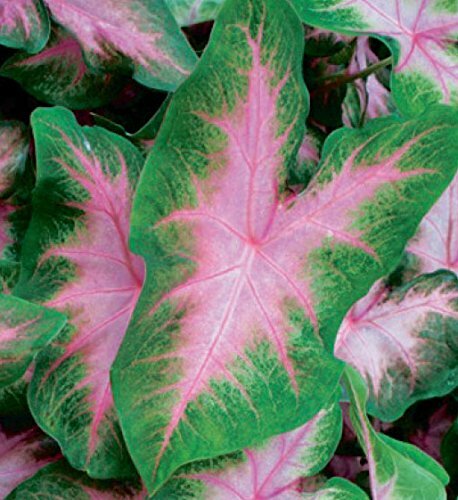 This top-selling mixture contains caladiums with foliage colors of red, white, pink or rose. 1¼"-1½" bulb size. . PLANTING IS AS EASY AS 1-2-3 1. Dig a hole 3" deep. 2. Set the tuber in the hole so it sits 2" below the soil surface. 3. Replace the soil and water as needed. Frosty white with green edges. 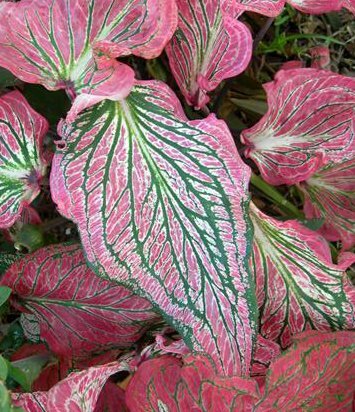 Fancy Leafed Caladiums are very showy foliage plants with bright red, pink, green and white variegated leaves. You'll enjoy these South American beauties with heart shaped, rainbow colored leaves...prettier than most flowers. Pot early indoors with a starting temperature of 70 or more, then plant them, pot and all, outdoors in the shade or semi-shade after spring frosts. Or, plant them in shady window boxes where sun loving annuals won't grow. Water well and spray leaves frequently during hot, dry weather. Excellent for conservatory or warm sun porch during winter. 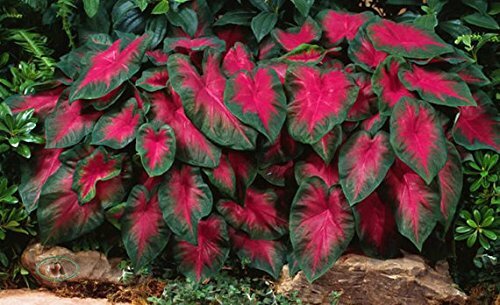 Caladium Buck (6 Bulbs) - elegance for shady gardens. Now Shipping !